A groundbreaking new study shows that increasing Social Security benefits by a modest amount can result in improved cognition for seniors, possibly delaying the onset of Alzheimer’s disease or other dementia. Much of the current debate on Social Security concerns cost. Several Republican Presidential candidates have proposed cutting benefits by raising the retirement age, while Senator and Democratic Presidential candidate Bernie Sanders has proposed raising benefits by about $65 per month, and making other changes to strengthen Social Security, while addressing the cost of the program by raising the cap on the payroll tax, so that the rich must pay the same rate as other workers. Some of the positive impacts of raising benefits may be obvious. Social Security keeps 22 million Americans out of poverty, including 1 million children. But nearly 75 percent of single seniors depend on Social Security for all or most of their income, and many seniors struggle with inadequate nutrition and rising health care and housing costs. 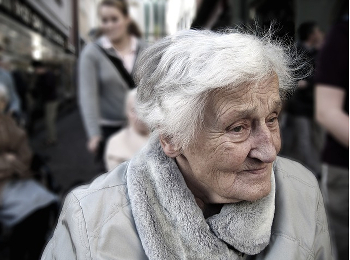 Raising benefits would clearly improve the health of many older people by helping them pay for these vital needs. Now researchers have shown (pdf) that raising Social Security benefits can result in improved cognition. University of Iowa professors Padmaja Ayyagari and David Frisvold released a working paper entitled, “The Impact of Social Security Income on Cognitive Function at Older Ages,” in which they report their finding that higher Social Security income results in clinically meaningful improvements in cognitive function among the elderly. The researchers were able to take advantage of an error in the calculation of cost-of-living increases to Social Security benefits that took place between 1972 and 1977, commonly referred to as the “Social Security Notch.” The miscalculation resulted in certain groups receiving Social Security benefits about $1,160 higher than others. After correcting for all other factors, the researchers found that the groups that received higher benefits performed better on standard measures of cognition. Although the causes of Alzheimer’s disease and other dementia are not well understood, it is known that severe declines in cognition often lead to the onset of Alzheimer’s, and it is therefore important to identify factors that could prevent or delay cognitive impairment. As Nancy Altman points out, if raising Social Security benefits helps delay the onset of Alzheimer’s, the increase in benefits could pay for itself by reducing the tremendous cost of caring for people suffering from Alzheimer’s and other dementia.